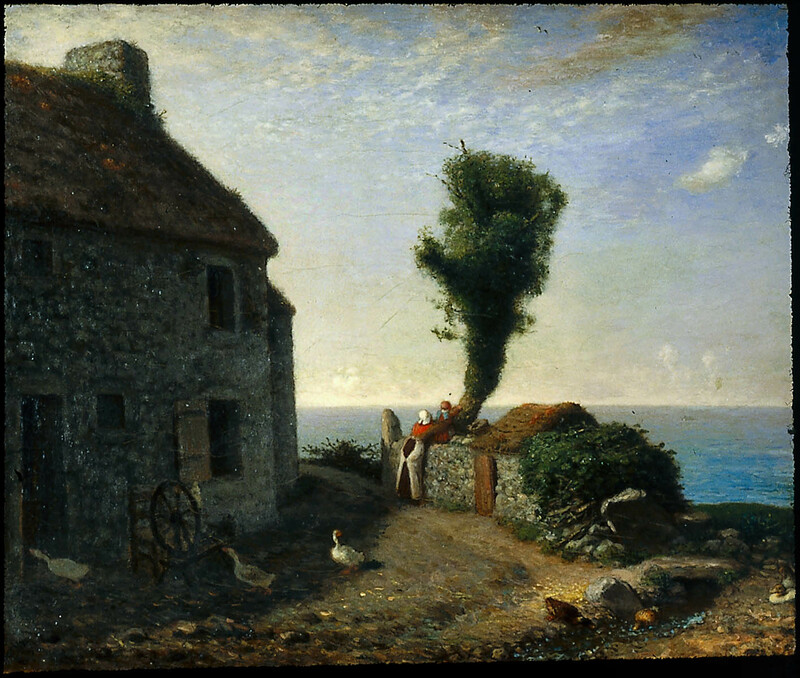 Millet grew up in Gruchy, a tiny town in Normandy whose single street ended in a sweeping vista of the sea. 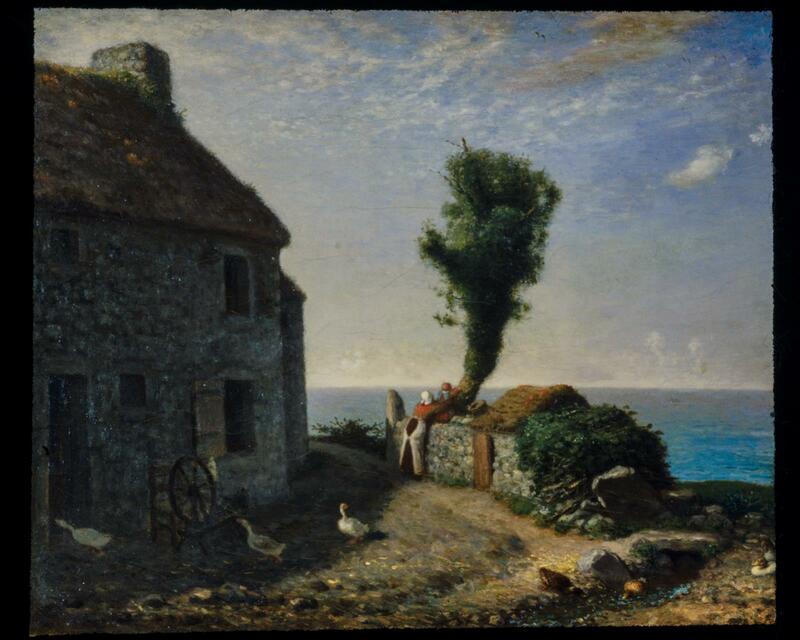 He painted several versions of this view in an attempt to capture the experience of a child who, knowing only the world of his quiet village, is held up for the first time to see the distant horizon. Bout du Village de Gréville." M.P. may refer to M. Jules Pams (b. 1852 – d. 1930), Perpignan and Paris, politician and amateur art consultant who was closely associated with the Musée de Perpignan.